Share In Our Story - It's a Good One Mate! 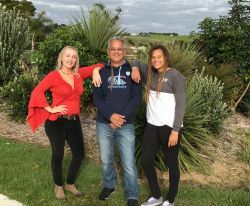 Richard Te Haara, a Kiwi living in Northland, New Zealand with connections to the Ngāpuhi tribe & Melinda LeCompte, an American Kiwi living in Texas with connections to the Ngāti Whātua tribe are the founders of Twin Coast Discovery Tours, a New Zealand company. This tourism initiative was born out of her love, his dream, & a broken TV. This is a true story & not a Maori Myth or Legend! Once upon a time a Kiwi from the Northland married a Texan and moved to Texas. Melinda loved the Lone Star State as the Texas Strong, Texas Pride culture of its Bigger in Texas reminded her of home, World Famous in New Zealand, where Kiwis punch above their weight! She was the invited guest speaker for the USA Citizenship ceremony in San Antonio, a great honor and was given a platform to talk about her homeland which was well received. Over the years she started to invite her Texan friends to vacation in New Zealand staying in her Northland bach introducing them to Kiwis and admiring this cultural match of hospitality and people. However, the interest in traveling to New Zealand grew but the time and space to host them could not. People in Texas after discovering she is a Kiwi tell her, “New Zealand, now that is a place I have always wanted to go, it’s on my bucket list! So how do I get there? What should I see when I am there? Can you help me plan a trip"? Her dilemma emerged-how could she help bring them all DownOver? Bringing these 2 cultures together became really important to her. Richard is a man with strong Kiwi pride, a love of meeting people and seeing them come together in a fun way. The great great, grandson of a Ngāpuhi Chief who was a signatory to The Treaty of Waitangi. His great grandfather owned one of the first hotels in the Bay of Islands. As a Rotarian in the 1980s he hosted a group of young business professionals from Kentucky, USA and took them on a private tour showcasing New Zealand’s Northland white sand beaches. He remembers that day well because they said happily on arrival to the beach, “Fantastic, we are the first one’s here”! He then laughed and replied to them, “Yes and you will be the only ones here ALL day!” The look on their faces of sheer delight in something he took as normal pulled on his heart. He fell in love with the fact that people wanted to see Northland, his home. He knew then tourism was about the people, He Tangata. Showing them something they had not seen before or giving them an experience they have not had before. What a dream it would be for him to be able to showcase Northland to the world and start a tour. However, life happened and he took a different course so the dream went on hold. Fast forward to Christmas 2016. Melinda had a broken TV and the “Freeview Man” Richard came to repair it. Richard immediately offered to take Melinda’s guests on a beach, wine and eel tour as the area was still well hidden from mainstream tourism. The dream was set in motion. Melinda had people that wanted to visit New Zealand and Richard had the Mini Tour. From there the dream became bigger in that the question was raised why invite just a few Texans DownOver when you can invite all of them and make it a Mega Tour. So they did and launched February 1 2017 with the support of both New Zealand and Texas Government Agencies. Utilizing the Twin Coast Discovery Highway self-drive 800km circular scenic touring route as a base, they have created a customized luxurious land cruise tour of New Zealand’s Auckland City of Sails and the stunning Northland. A tour designed just for the State of Texas that travels in motorcade style with presidential gold service and superior security and safety. So C’Mon Texas, Come on DownOver to New Zealand, Aotearoa the land of the long white cloud and Pacific's Triple Star. What better way to invite Texas to New Zealand but by way of country music, an original Bilingual Maori Country Rock Song written especially for Texans by Kiwi Larry Killip and the company founders. The song lyrics preserve the history and fun facts about New Zealand and is the theme of the 8-Day Taste of NZ Tour. Larry our song composer is from Auckland, New Zealand and is a music producer, songwriter, artist and an accomplished recording engineer. 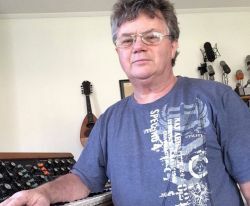 He is also known as producer of more than a few famous Television and Radio jingles in New Zealand. 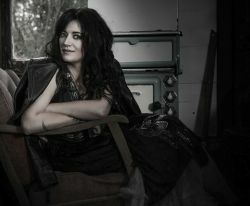 Fellow Kiwi Catherine (Cat) Tunks, who has traveled the world as a performing and recording artist with two acclaimed albums, an impressive list of festival appearances and collaborations with musicians from all over the globe, sings with Larry together with artist Cody Sparks who is from the "music capital of the world," Austin, Texas. This great upbeat loud invitation to Texas to C'Mon DownOver to New Zealand is really catchy so you will be singing it on the plane trip home! 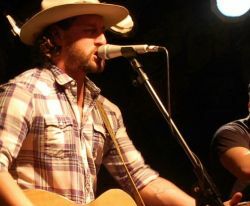 Cody is from the Panhandle of Texas, born and raised in Perryton, The Wheat Heart of the Nation. 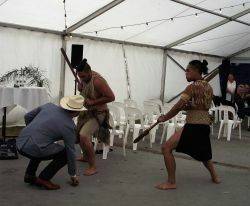 Cody Sparks received a formal Maori Welcome at the grand opening of Twin Coast Discovery Tours in honor of his contribution to this tourism initiative for Texas and New Zealand. Tumeke Cody Sparks! Video composition by Californian Taylor Johnson.